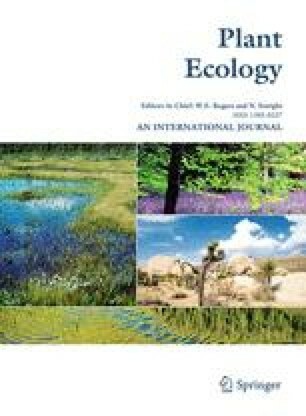 The influence of summer and winter stress and water relationships on the distribution of Quercus ilex L.
Several aspects of plant-water relationships and canopy behaviour have been studied over several years in two experimental areas of Quercus ilex L. forests in the northeastern Iberian Peninsula. Water requirements, water status limits necessary for a positive carbon budget and the functional canopy behaviour in the face of abiotic stress were evaluated, in order to determine which factors influence the geographical range of these forests. The results showed that holm oak has a conservative water use, a low cuticular transpiration, a high capacity for osmotic adjustement and xerophytic characteristics in leaf morphology and canopy arrangement. More than 440 mm of annual rainfall are required for these forests to persist. Summer drought and winter cold are thus important abiotic factors limiting the distribution of Quercus ilex. In both cases, drought stress is involved.